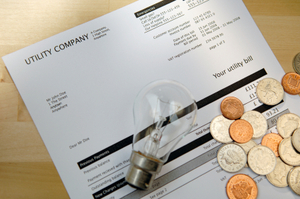 The head of the small energy supplier, Ovo Energy, has come out with claims that some of the bigger energy suppliers in the UK are intentionally making losses on some of their cheapest deals in order to attract new customers. Ovo Energy conducted an analysis on other suppliers, from which Fitzpatrick concludes that it would be impossible for some to make money on their cheaper tariffs, if their profit margins are as small as they suggest. Naming British Gas, Scottish Power and Npower specifically, Fitzpatrick states that the prices of cheaper tariffs are too little for the supplier to make 3-4% profit, plus cover operational expenses. He therefore concludes that the companies must be losing money – an accusation which has been denied by the companies in question. The Ovo head explained that if the prices customers are charged are not a direct reflection of supply costs, then customers on the most expensive tariffs end up paying the price. Even though the small percentage of savvy energy shoppers will able to make the most of these competitive tariff prices, the market as a whole suffers. Fitzpatrick is calling for competition authorities to ban the practice in order to promote a fairer energy market, and drive prices down for consumers. This news was brought to you by UKPower.co.uk. Click here to run an energy price comparison, and see if you could be paying less for your gas and electricity.